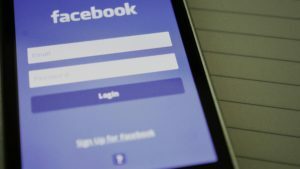 Recently 50 million Facebook users had their personal information extracted and used for political and commercial purposes. In the wake of this scandal, we’ve all become much more aware of how our use of social media clashes with our desire for privacy. Are technical fixes and awareness enough, or is it time for Facebook and other online services to be regulated? Our guest Woodrow Hartzog is a professor of law and computer science at Northeastern University and discusses the battle and future of our personal information. He has a new book out from Harvard University Press entitled Privacy’s Blueprint: The Battle to Control the Design of New Technologies. Professor Hartzog holds a joint appointment with Northeastern’s School of Law and the College of Computer and Information Science, where he teaches privacy and data protection issues. Professor Hartzog’s work has been published in numerous scholarly publications such as the Yale Law Journal, Columbia Law Review, California Law Review and Michigan Law Review, and popular national publications such as The Guardian, WIRED, BBC, CNN, Bloomberg, New Scientist, Slate, The Atlantic and The Nation. He has testified twice before Congress on data protection issues. His book, Privacy’s Blueprint: The Battle to Control the Design of New Technologies (Harvard University Press, 2018), has been called “one of the most important books about privacy in our times.” Prior to joining Northeastern in 2017, Professor Hartzog was the Starnes Professor of Law at Samford University’s Cumberland School of Law. He has also served as a Visiting Professor at Notre Dame Law School and the University of Maine School of Law. 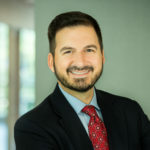 Professor Hartzog previously worked as an attorney in private practice and as a trademark attorney for the United States Patent and Trademark Office. He also served as a clerk for the Electronic Privacy Information Center. He holds a PhD in mass communication from the University of North Carolina at Chapel Hill, an LLM in intellectual property from the George Washington University Law School, and a JD from Samford University.